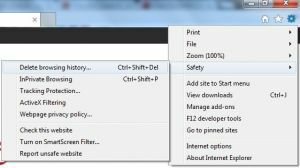 Your web browsers save pieces of the site when you go to every website which means that once you visit that site again, the browser will use the cached files to load the site faster. Sounds convenient right? Not quite because once the website updates or adds a new feature, it will still load the old, cached version and you won’t see the most recent updates or changes in the website. You will sometimes encounter a warning when entering a website, so it is recommended to clear the cache if prompted to. 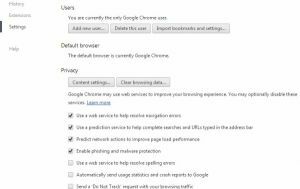 Different browsers have their own ways of clearing the cache. 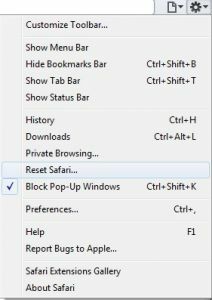 On the upper right side of the window, click on the gear icon, then point on to safety, then click on Delete Browsing History. 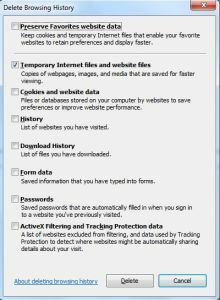 On the window, check “Temporary Internet files and website files” and uncheck everything else. Wait for the process to finish and you’re done! 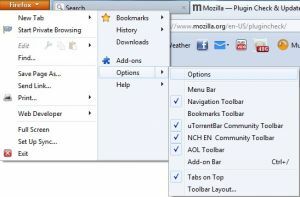 Click the "Firefox" on the upper left corner of the browser, then point to Options then click Options on the list. 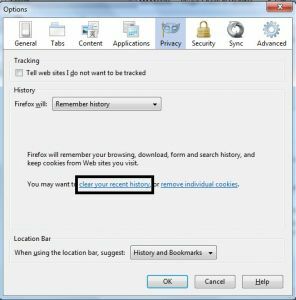 Click the “Privacy” tab then click “clear your recent history”. Uncheck everything except for Cache and click Clear now to start the process of clearing you cache. 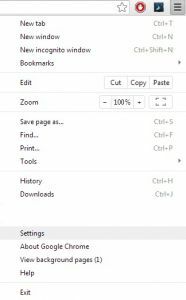 Click the upper right corner of the browser with 3 horizontal lines and click on Settings. On the left, click on Settings. 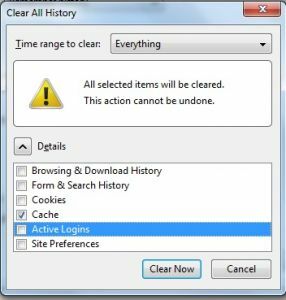 Uncheck everything except “Empty the cache” and click Clear browsing data to start clearing the cache. 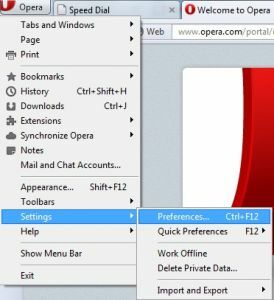 Click on the upper left corner of the browser which says “Opera” then point to Settings and click on Preferences. 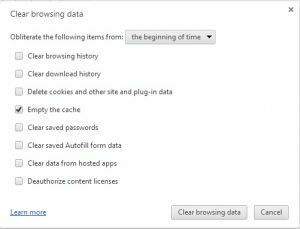 Go to Advanced tab then Select History from the list on the left and click on Empty Now to clear the cache. 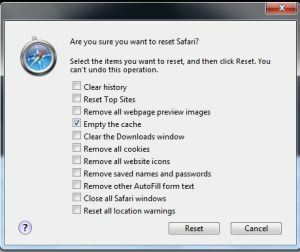 Click the Gear icon on the upper right corner of the browser then click Reset Safari. Uncheck everything except for “Empty the cache” then click Reset to clear the cache. Comments for "How to clear the cache"